This black and white photos shows two young girls sitting in the grass. 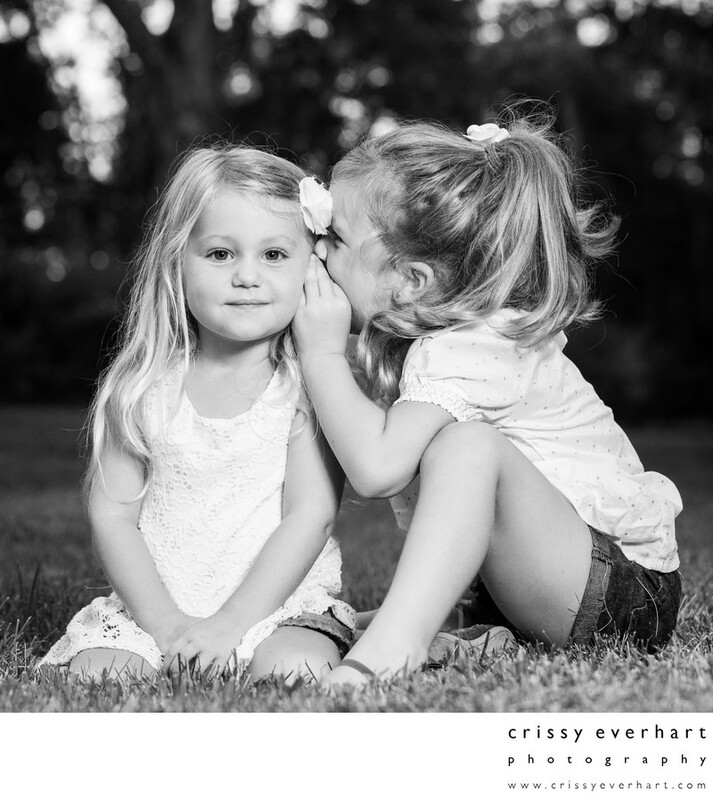 The older sister telling the younger sister a secret, and little sis smiles towards the camera. This image was taken in the summer at Historic Sugartown, where I have my indoor and outdoor photo studio.